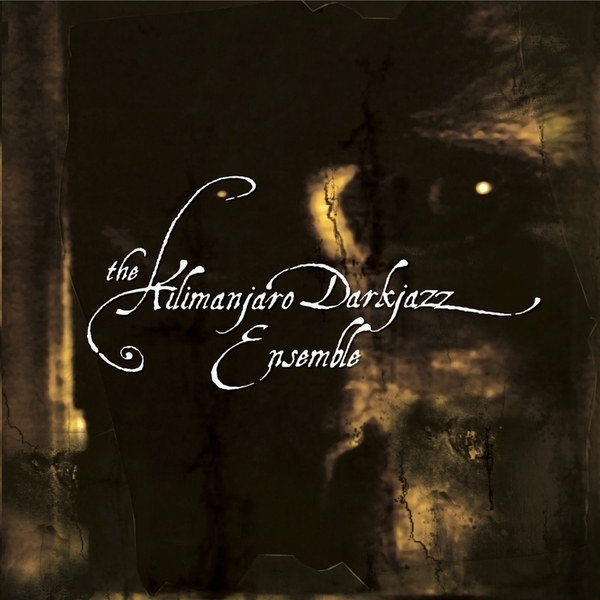 Just as the recent Bong-Ra vs. Venetian Snares 12" confounded all expectations by presenting a vision of calm and decayed grandeur, this brand new LP from The Kilimanjaro Dark Jazz Ensemble (again on Planet Mu) visits similarly unexpected territories. As a Jason Kohnen (aka Bong-Ra) and Gideo Kiers project, the break has been firmly packed away in it's core for this self-titled debut - with all the pieces on show here a breed of cinematic instrumentals that flirts sporadically with electronica, but would have been just as happy sans digitalis. Opening with 'The Nothing Changes', The Kilimanjaro Dark Jazz Ensemble start on a menacing note - taking some blunted ambient jazz and layering atop a broiling undercoat of thrumming drones that will have the neck hair's stood to attention. From here, we're straight into the glitchy electronics of 'Pearls For Swine' which (through a mid-song sonic storm) sounds not unlike a slab of silicon-pepped post rock - a trick they repeat on the didactic thrum of 'Lobby'. Elsewhere, the likes of 'Parallel Corners' and 'Vegas' belies the Ensemble's genesis as a silent movie soundtracking project, whilst 'March Of The Swine' and 'Rivers Of Congo' deliver a brusque shot of grubby jazz. Climb on!